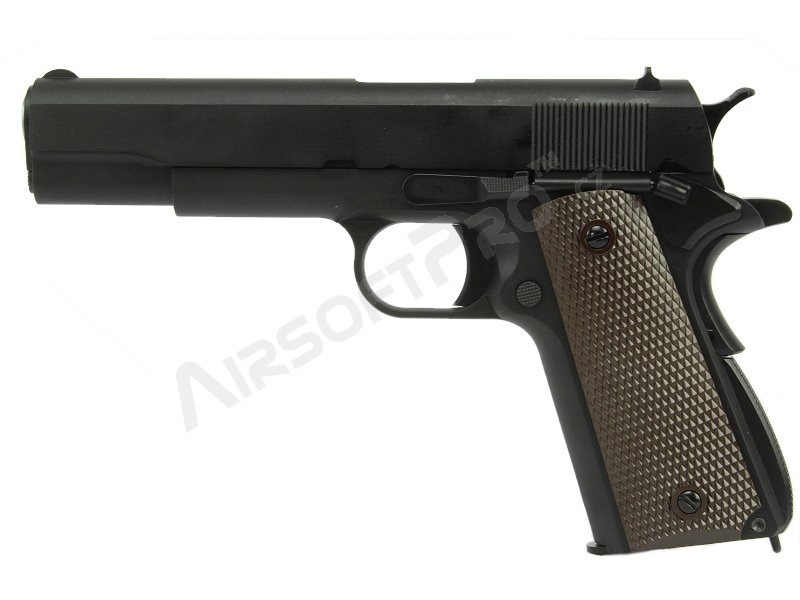 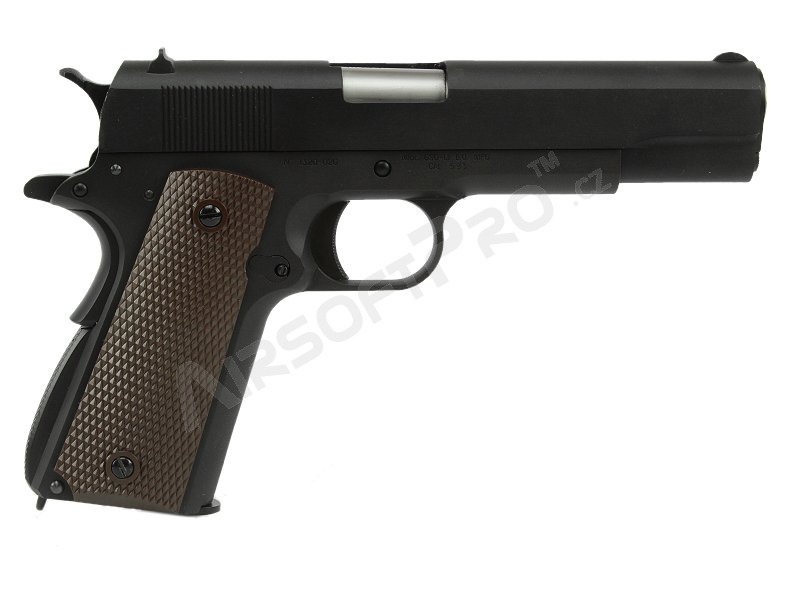 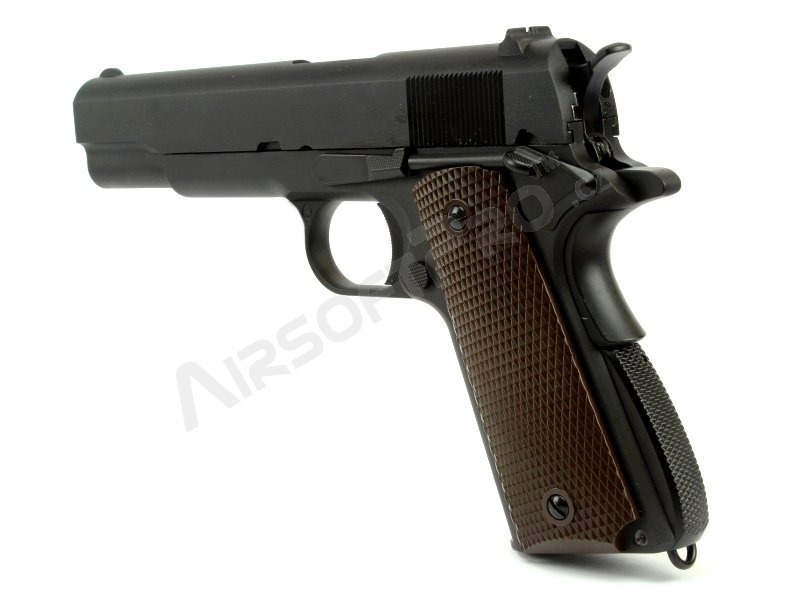 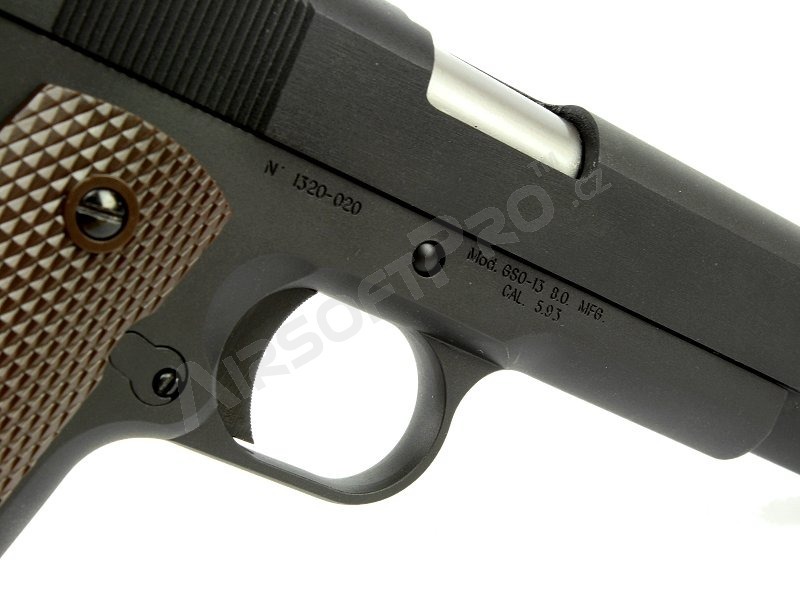 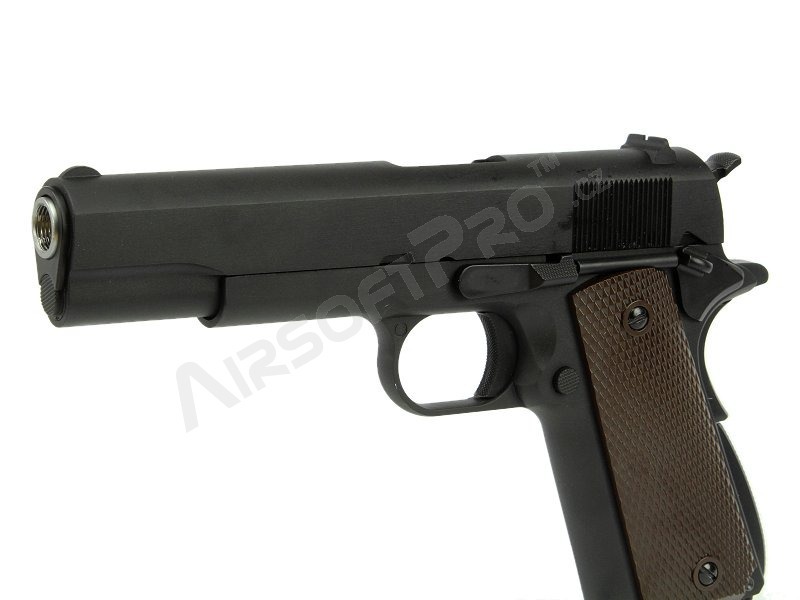 Description New generation of the famous WE M1911 A1 pistol. 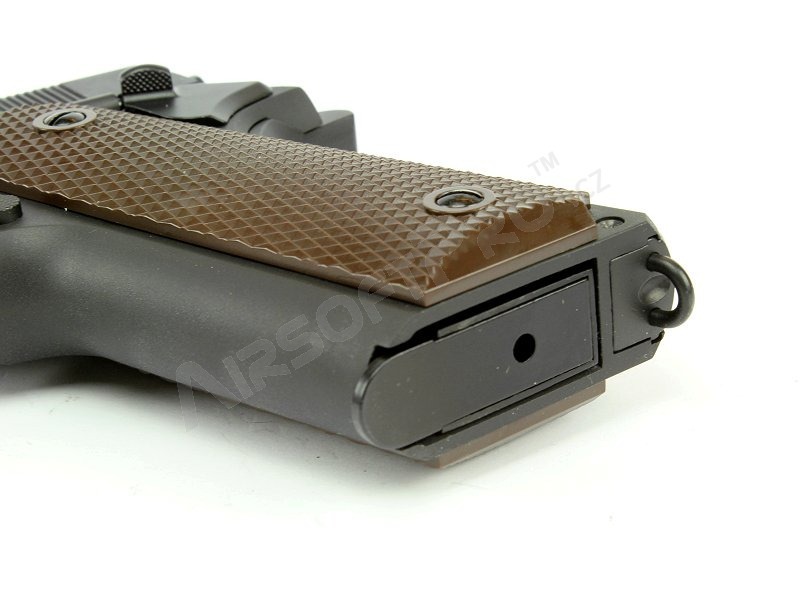 Third generation brings improoved trigger mechanism and wheel adjustable trigger. 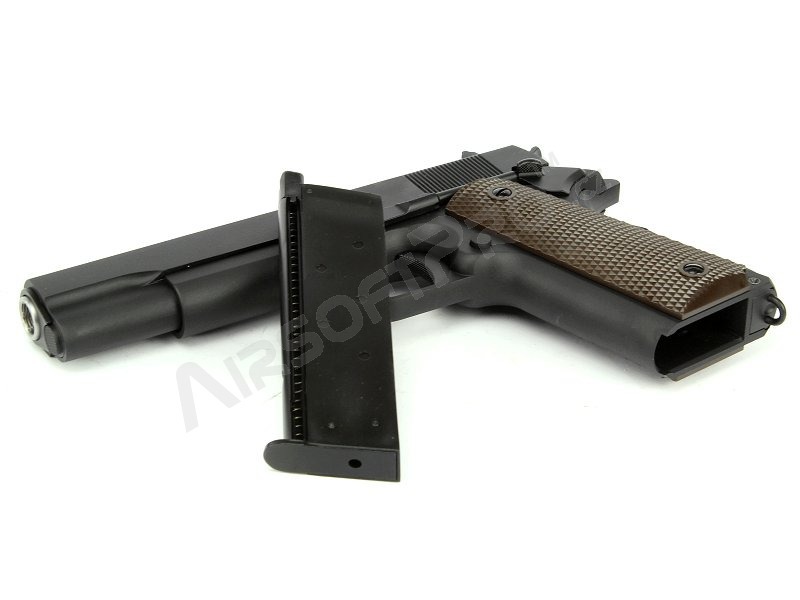 This is full metal pistol with the realistic blowback system. 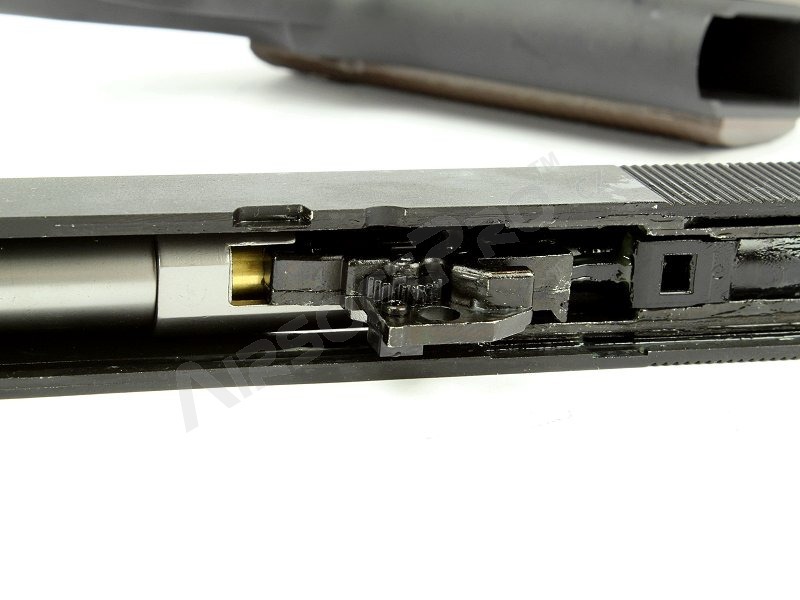 Green gas is filled into metal magazine (capacity 15 BBs). 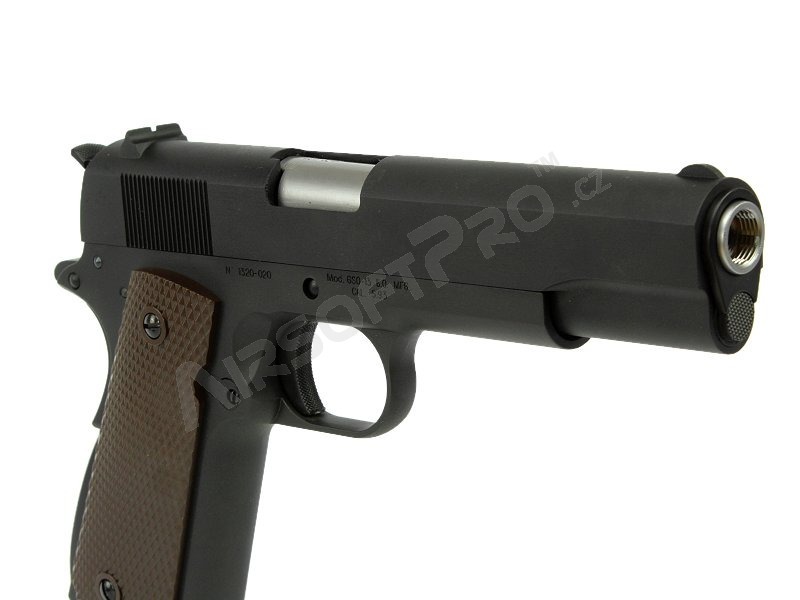 Every shot is amazing experience with the strong recoil kick.